Ok, one more Huxley quote and I'll be done with him for a bit. He's just such a fascinating writer. "We live together, we act on, and react to, one another; but always and in all circumstances we are by ourselves. The martyrs go hand in hand into the arena; they are crucified alone. Embraced, the lovers desperately try to fuse their insulated ecstasies into a single self-transcendence; in vain. By its very nature every embodied spirit is doomed to suffer and enjoy in solitude. Sensations, feelings, insights, fancies – all these are private and, except through symbols and at second hand, incommunicable. We can pool information about experiences, but never the experiences themselves. From family to nation, every human group is a society of island universes." As I continue to develop this site, I am starting with the practices that I feel I know the most about. My primary spiritual practice is Centering Prayer, what you might call "resting in God," beyond thoughts, images, ideas, and emotions. You can check out the Centering Prayer page under the Spiritual Practice tab for more. 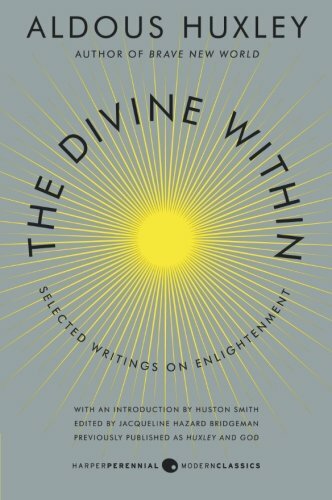 While I'm in my Centering Prayer writing mode, I wanted to include some extended quotations from an essay by Aldous Huxley entitled Symbol and Immediate Experience from his collection The Divine Within: Selected Writings in Enlightenment. What I find most interesting is not only his discussion of a certain type of mystical experience (which I find similar to what can happen during Centering Prayer), but also the idea that you don't have to hold certain religious beliefs to practice these disciplines. The Transcendental Meditation movement has really moved in this direction and uses almost completely secular language, even though it comes from the explicitly religious Vedic tradition. "Very briefly, let us discuss what is the mystical experience. I take it that the mystical experience is essentially the being aware of and, while the experience lasts, being identified with a form of pure consciousness – of unstructured, transpersonal consciousness, lying, so to speak, upstream from the ordinary discursive consciousness of every day. It is a non-egotistic consciousness, which seems to underlie the consciousness of the separate ego in time. Now, why should this sort of experience be regarded as valuable? I think for two reasons: First of all, it is regarded as valuable because of the self-evident sensibility of value, as William Law would say. It is regarded as intrinsically valuable just as aesthetically the experience of beauty is regarded as valuable. It is like the experience of beauty, but so much more, so to speak. And it is valuable, secondarily, because as a matter of empirical experience it does bring about changes in thought and character and feeling which the experiencer and those about him regard as manifestly desirable. It makes possible a sense of unity, of solidarity, with the world. It brings about the possibility of a kind of universal love and compassion..."
I might alter his statement by saying that this is a mystical experience. 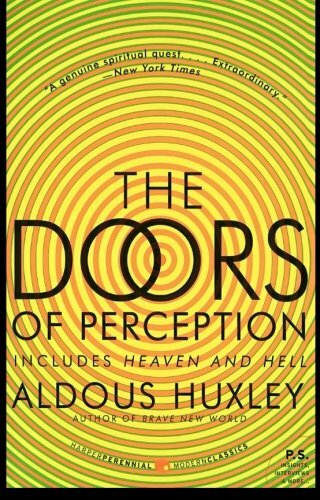 Huxley himself wrote about his experience on mescaline in The Doors of Perception, which he would take to be "mystical" but clearly a different sort of experience than he his describing here. But "consciousness beyond thought" or "pure consciousness" is, in my opinion, a fair secular way to describe the state potentially reached by Centering Prayer, Transcendental Meditation, and Zen. "Now, very briefly, I must just touch on the means for reaching this state. Here, again, it has been constantly stressed that the means do not consist in mental activity and discursive reasoning. They consist in what Roger Fry, speaking about art, used to call "alert passivity," or "determined sensitiveness." This is a very remarkable phrase. You don't do anything, but you are determined to be sensitive to letting something be done within you. And one has this expressed by some of the great masters of the spiritual life in the West. St. Francois de Sales, for example, writing to his pupil, St. Jeanne de Chantal, says: 'You tell me you do nothing in prayer. But what do you want to do in prayer except what you are doing, which is, presenting and representing your nothingness and misery to God? When beggars expose their ulcers and their necessities to our sight, that is the best appeal they can make. But from what you tell me, you sometimes do nothing of this, but lie there like a shadow or statue. They put statues in palaces simply to please the prince's eyes. Be content to be that in the presence of God: he will bring the statue to life when he pleases.'" This alert passivity or determined sensitiveness could easily describe what we're trying to do in Centering Prayer. Although Huxley says he is discussing a method for reaching this state, he doesn't touch on an actual methodology. Centering Prayer, Transcendental Meditation, and Zazen each, it seems to me, have their own ways of getting you there. In Centering Prayer you are releasing thoughts and setting an intention to be open to God; in Transcendental Meditation you are focusing the attention on a mantra; in Zazen, you are typically focusing the attention on the breath. These practices aren't "all just the same thing," but I do think each could potentially take you to this state of consciousness beyond thought. "And of course if anyone does not want to formulate this process in theological terms he does not have to; it is possible to think of it strictly in psychological terms. I myself happen to believe that this deeper Self within us is in some way continuous with the Mind of the universe, or whatever you like to call it; but you don't necessarily have to accept this. You can practice this entirely in psychological terms and on the basis of a complete agnosticism in regard to the conceptual ideas of orthodox religion. An agnostic can practice these things and yet come to gnosis, to knowledge; and the fruits of knowledge will be the fruits of the Spirit: love, joy, and peace, and the capacity to help other people. So that we see then, there is really no conflict between the mystical approach to religion and the scientific approach, simply because one is not committed by it to any cut and dried statement about the structure of the universe..."
As we find ourselves in an increasingly secular society, this idea that you don't have to hold certain religious ideas to find a contemplative practice clearly removes a barrier for a lot of people. 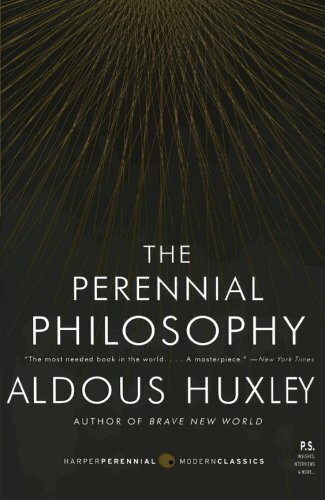 I'm with Huxley in that I interpret contemplative experience in religious terms. But I think we will continue to see contemplative practices "unbundled" from their religious contexts.